Divorce is a confusing time fraught with uncertainty and upheaval. Sadly, it can be especially difficult when children are involved. In order to make it easier on them, divorced parents need to collaborate in order to make the visitation process a positive experience. Showing a united front for the children is crucial so that they feel confident and comfortable during this difficult time. Stay positive. Be upbeat when discussing the upcoming visit. Don’t allow your differences with your former spouse to spill over into your conversations about the time they will be sharing with the other parent. Knowing about some activities the children will be doing on the visit, so you can discuss them together beforehand, is also helpful in smoothing the If you talk about the visits in a positive way, they will feel happier and more confident about this entire process. Be prompt and present. Being on time is important. My children watched out the window while waiting for their father to arrive. Being “there” with your children and in the moment reinforces the fact that you value these visits. Children need to feel that they are important to you, so focus on them when you are together. During the visit, you need to show them that they are your Spend some quality time playing a board game or riding bikes together. Remember that your emails and text messages can wait. No arguing. Arguing in front of the children is very upsetting to them, especially at drop off/ pickup. Visitation is a time to focus on the children, so it is necessary for both parents to do whatever is required to make the transition as pleasant as possible. Remember that this is about them. Dealing with your differences at a separate time will help make the process run more smoothly for everyone. There were definitely times when I had to hold myself back from yelling at my ex in front of my kids. I didn’t want negative messages to hurt them or hinder their relationship with either one of us. Set up meetings to discuss issues with your former spouse or, as was necessary for us, save your adult conversations for sessions with a mediator. Since our children were so young when these visits began, our mediator helped us through some very difficult discussions. It was imperative for us to have these talks out of earshot of the children. Calendar. Both homes should have a calendar specifically for the children. Together with me, my children marked the days: weekday dinners, overnights and vacation visits. This made a potentially confusing schedule more predictable and easier to discuss and manage when my children were young. Sometimes we knew ahead of time when they would be visiting the zoo or their great grandparents. Those plans went onto the calendar too, and it gave them something fun to look forward to with their dad. Respect their individuality. Don’t force your preferences on the children or create unnecessary power struggles. When my four-year-old son decided to wear mismatched sneakers and his favorite mittens in July, it was upsetting to his father. It took sessions with the mediator to help my ex see the importance of celebrating our son’s creative choices and understanding that these items were comforting for him. Again, these visits should be about the children, keeping in mind that young children have fragile self-esteems. They are looking to you as role models in all of this. The goal is to make them feel welcome, valued, cared for and comfortable. Encourage comfort items. Have the children bring familiar items from home. For my children, hugging their beloved teddy bears while climbing into the car made the transition easier on all of us. Sending them with a cherished stuffed animal, a special blanket or a favorite book can be soothing to them when they have to say goodbye to you and while they are away. For older children, keeping a journal might be helpful. Help younger children remember to pack their favorite objects again when they get ready to go home. Missing the other parent is ok. Make sure the child knows it’s okay to miss the other parent. It may help to have the child draw a picture for the absent parent. Send along notebooks or sketch pads with them when they go. Scribe for your children if they are too young to write. Be sure to bring and deliver the artwork at the end of the visit. My children were always excited to show me the pictures they had drawn for me while they were away. Their drawings also helped them reflect on the adventures they had with their dad. Overnight surprise package. For an extended visit, consider sending a little surprise package filled with goodies. This can simply be a package of envelopes, labeled, one for each day they will be away from you. Each envelope contains a small surprise: a pack of gum, a few stickers, a tiny box of raisins, etc., plus a little cheerful note from you. Children should know you’ll be missing them, too! I made these for my children, and they always looked forward to opening them. It was a nice way to help them feel better about saying goodbye for a long stretch of time. Even now, in their 20’s, they remember those little bundles fondly. Allow phone calls. Children should feel comfortable calling the other parent to say goodnight. They may also want to call if something unusual happens (e.g., bee sting, lost tooth, ) It is important for you to show them that it’s okay to want to communicate with the other parent. In this way, you will be demonstrating your effort in fostering a solid relationship between parent and child and your willingness to do what is best for your children. My suggestion is that you review these pointers with your former spouse and take action. With both parents’ effort and fortitude, the ideas presented here are simple enough to implement right away. Clearly, it is essential to make this a collaborative effort in order to make these visits more pleasant and meaningful for everyone, especially the children. Looking back, I’m glad we worked so hard at keeping our visitation interactions as positive as we could. Our twins are fabulous young adults now with wonderful relationships with both parents, and I believe that the effort we put forth when they were young made all the difference. Susan D. Stiefel is an experienced educator, teacher, advisor, mentor, and family education coordinator. 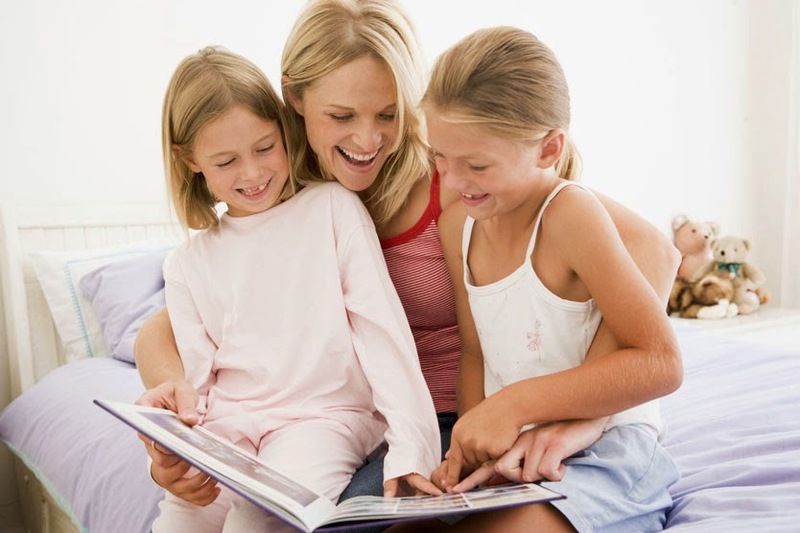 She feels her greatest accomplishment is being Mom to her two fabulous young adult children. You can contact her at: sdstiefel@outlook.com.